If you missed last week’s news about WhereBy.Us, here it is: The Miami media startup that publishes The New Tropic has acquired The Incline, an award-winning media site in Pittsburgh, from Spirited Media. For the WhereBy.Us network, it is the company’s first acquisition. 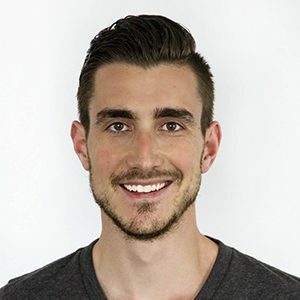 We’re taking this opportunity to catch up with Chris Sopher, CEO of WhereBy.Us, on the startup’s recent news and plans for the year ahead. In a phone interview from San Francisco, Sopher said WhereBy.Us is currently wrapping up a financing round and will be opening up a cohort of new sites later this year. The Incline will be the network’s fifth city, joining The New Tropic in Miami, The Evergrey in Seattle, Pulptown in Orlando and Bridgeliner in Portland, all built from the ground up by WhereBy.Us. After a couple of years of developing and publishing The New Tropic, WhereBy.Us added Seattle in 2017 and Portland and Orlando in 2018. “Our goal with The Incline is to figure out how we will support and grow this thing that the team built … They have a great foundation there with a brand that people like and that is really relevant to Pittsburgh,” Sopher said. Pittsburgh was always one of the cities WhereBy.Us was eyeing because of the community energy, and news that Spirited was selling its three local news sites offered WhereBy.Us an opportunity to enter the market. The city fits the profile of a WhereBy.Us city with the brand “live like you live here,” Sopher said. WhereBy.Us, cofounded by Sopher, Rebekah Monson and Bruce Pinchbeck, entered Jason Calacanis’ 3-month LAUNCH accelerator in San Francisco last April, and Sopher continued to stay in San Francisco to grow the business. He’ll be there “for the time being” while the rest of the team is in Miami or WhereBy.Us’s other media site cities. Sopher also said WhereBy.Us is raising a funding round to help it scale and expects to close in the coming months. To date, Whereby.us has raised $2.5 million in venture funding. Locally, Knight Foundation, Miami Angels and Krillion Ventures are investors. While it’s no secret that traditional local media companies are struggling to survive, WhereBy.Us is part of a wave of local digital media startups powered by different business models. 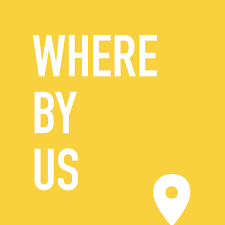 WhereBy.Us’s media sites have more than 75,000 daily newsletter subscribers and WhereBy.Us reaches more than 3 million people monthly across its platforms, the company said. It generates more than a million in annual revenues. Now with a team of 30 including 3 from The Incline, WhereBy.Us is also hiring, Sopher said. It’s looking for contract engagement producers for four of its cities, including Miami. “We’re growing in every city and seeing a lot of awesome feedback from the community. We have been doing new projects around neighborhoods and local issues [in Miami that has included gun control, affordable housing and election guides] and seeing a lot of great response. The thing we stay focused on is helping users make sense of the city and make connections every day and providing those little moments of delight. The thing we are learning in the background is staying focused on what is the model that will work in every city. For its part, The Incline said it plans to continue with its mission, with the help of WhereBy.Us.